Spring is definitely here, and while the days are getting perfect to be outdoors, there is still spring cleaning to be done. I’ve shared with you how to clean your makeup brushes and tech devices, and today I’m showing you how you can easily clean your jewels. When your daily jewels don’t have that same sparkle, please save yourself the trip and money, and don’t go buying one of those jewelry cleaners or having them professionally scrubbed. 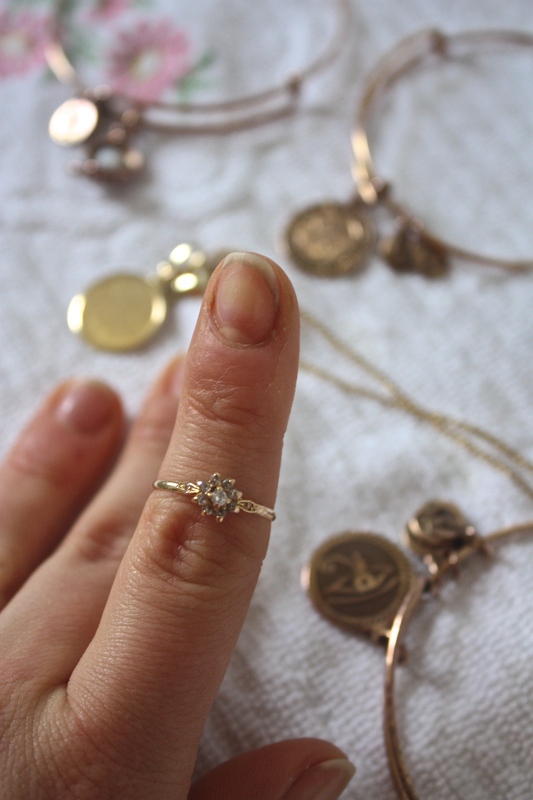 I’ve been cleaning my jewelry with a DIY cleaner for years, using ingredients you have in your pantry right now. Line the bowl with aluminum foil, and then top with the salt, baking soda, and dish detergent. 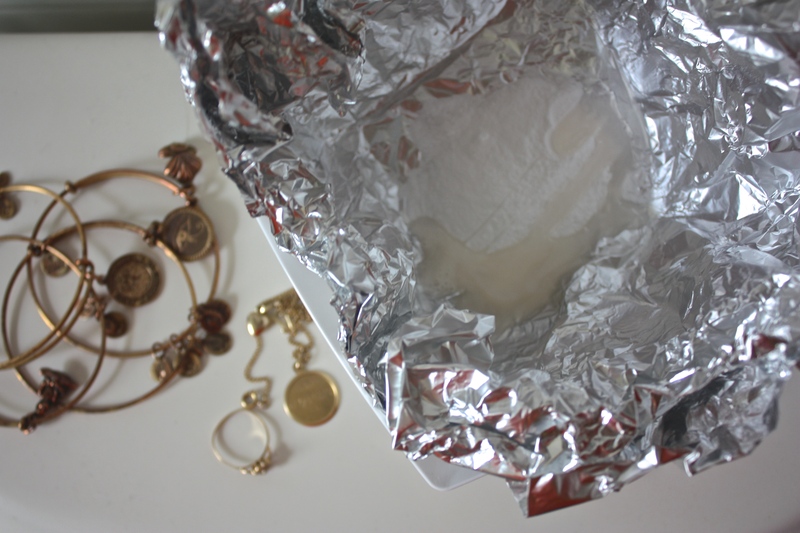 Add the hot water and drop your jewelry in when the mixture begins to fizzle, and allow to sit for 10 minutes. 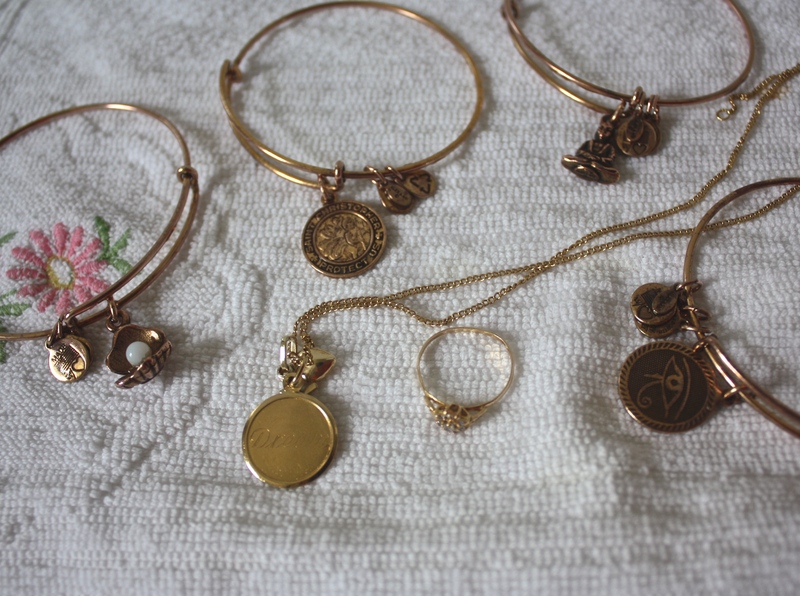 I didn’t take very good care of my first Alex and Ani bracelets when I got them a few years back so now I make sure I don’t get them wet too often, and wash them properly. 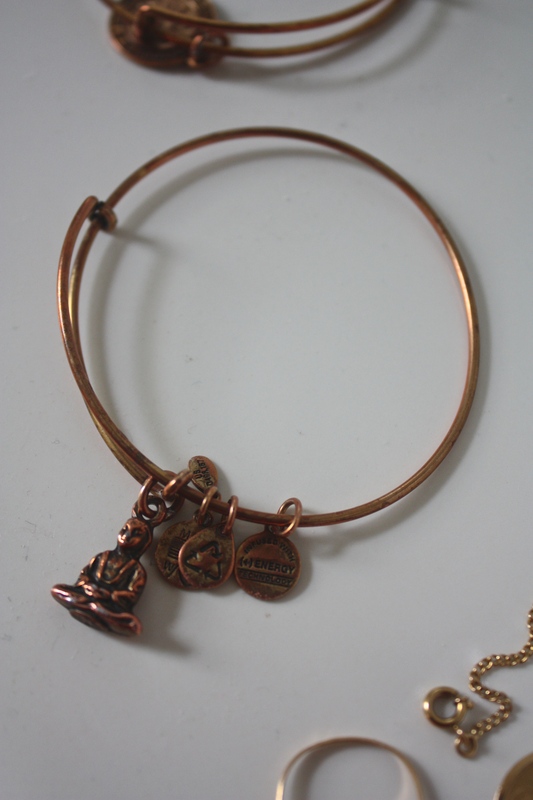 The gold can discolor, but the rustic old coppery look is what I love most about them, especially my Buddah. Remove your jewelry and use the toothbrush to gently scrub around any closures, groves and gemstones. I’ve used this cleaner on gold, silver, diamonds, and other gems and have had amazing results on everything! 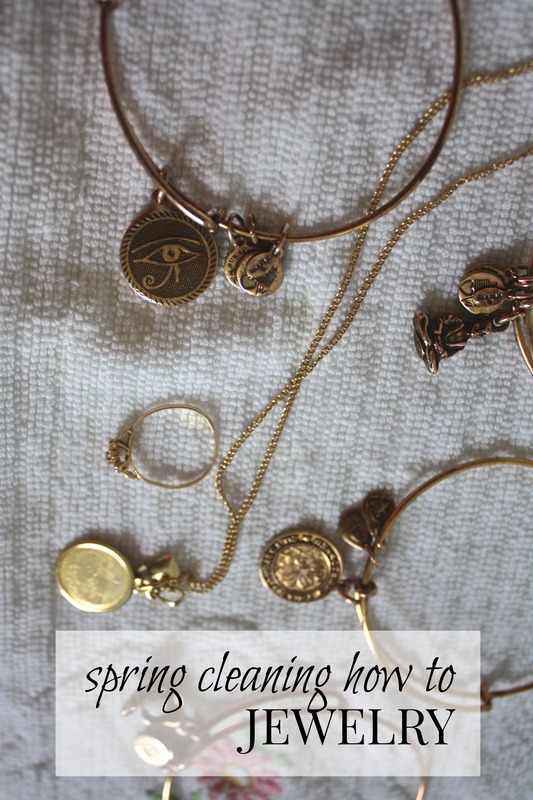 Rinse each jewelry after scrubbing, pat dry and lay onto a lint free cloth. Dropped off my winter coats to get cleaned so at this point, I’m just about done with spring cleaning. How about you, done any organizing and cleaning before we spend our days outside in the sun?